A joint venture purchased a historic building in the New Center area with plans to convert it into more than 200 apartments. The deal, which closed last week for an undisclosed price, makes Birmingham-based Lutz Real Estate Investments and Farmington Hills-based Northern Equities Group the new owners of the Albert Kahn Building, which was owned by a joint venture between Detroit-based The Platform LLC, New York City-based HFZ Capital Partners and New York City-based Rheal Capital Management, which is owned by Detroit native John Rhea. The apartments are slated for floors two through 11, while the first floor and lower level would be about 60,000 square feet of retail and office space. Lutz expects the renovations to start in about six months. Some of the units should be available about 10 months after construction begins, with the entire project taking about 18-20 months. 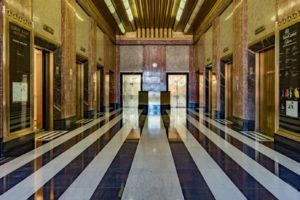 The building, which is about 320,000 square feet, is almost entirely vacant, minus a health care company that takes up about 2,000 square feet and is expected to move out in July. Lutz and Matthew Sosin, principal of Northern Equities Group, mark their first Detroit venture together as the New Center area and immediately nearby region is brimming with new construction and leasing activity, including new condominiums and apartments by The Platform, the Detroit Pistons practice facility, Henry Ford Health System’s ongoing building nearby and anticipated projects by a handful of other out-of-state developers from Philadelphia and Canada, among others. “We see this area as a major anchor in the city that is undoubtedly trending upward. New Center is one of Detroit’s most dynamic neighborhoods,” Sosin said in a statement. “We have substantial holdings in New Center, TechTown, Milwaukee Junction and North End. And we believe that by collaborating with other developers in this district, we will be able to fashion neighborhoods that are more dynamic and authentic,” Peter Cummings, executive chairman of The Platform, said in a statement. 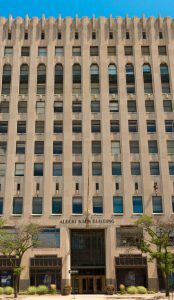 The Platform, HFZ and Rhea joint venture acquired the Albert Kahn Building and the 635,000-square-foot Fisher Building in 2015 in an online auction, along with two parking decks, for $12.2 million. 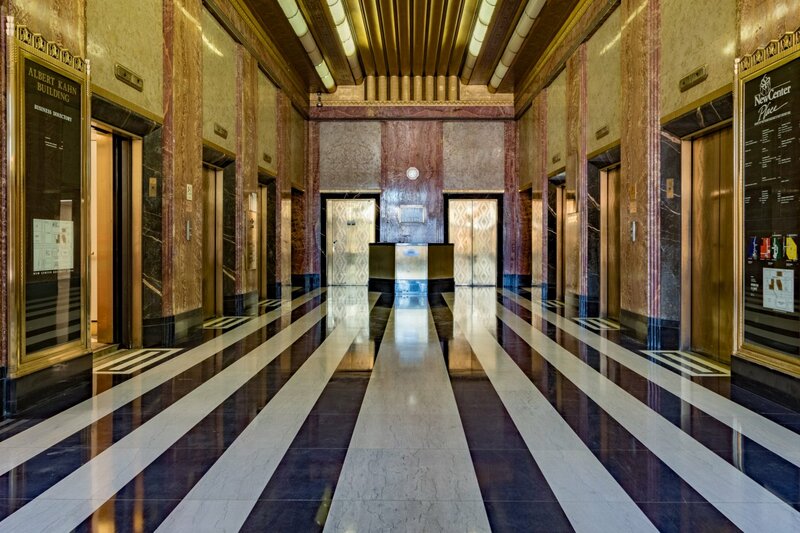 Last year, the Albert Kahn Building was listed for sale. 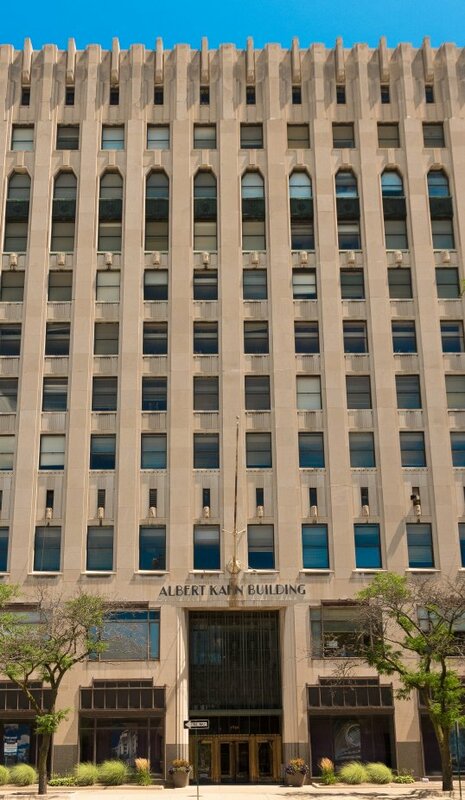 Its main tenant, Albert Kahn Associates Inc., recently moved out. The Royal Oak office of JLL was the brokerage firm on the sale to Lutz and Sosin. Southfield-based Jaffe Raitt Heuer & Weiss PC completed the legal work. 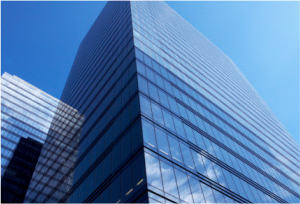 Birmingham-based Q10 | Lutz Financial Services secured the acquisition and construction financing from an unidentified West Coast lender. Detroit-based Kraemer Design Group is the architecture firm on the project, while the general contractor is Novi-based Cunningham-Limp Development Co.